When you’re starting a business, it’s vital that you take into consideration how people will pay for your goods and services. Whether you’re starting a jewelry store or you want to do plumbing for the people in your community, you need to have a source of payment to offer your customers and clients. While opening a business is a very lengthy process, Journey Business Solutions can make it a bit easier for you. Our merchant services are some of the best in the Fort Worth, TX, area because we strive to offer low costs for small to medium sized businesses. Whether you’re an already established business looking for a trustworthy merchant service or you’ve decided to open your own business, Journey Business Solutions is here for you. If you’re interested in learning more about our merchant services, take the time to contact us. A merchant account is a special type of bank account. A merchant account only exists as a way to hold your business’ funds that are from debit and credit card sales. A merchant account is where you can hold all of the money that’s made from those sales and on a weekly or a daily basis, they will be transferred to a normal bank account. Whatever the time period you want the money transferred to a normal bank account, you can decide between every day, weekly, or even another option that you want. If you’re accepting any type of card, then it’s best that you have a merchant account provider and a payment processor. At Journey Business Solutions, our services range from credit card acceptance to total merchant services. If you’re a new business or one who wants to take advantage of some great services, then our merchant services are a beneficial opportunity. 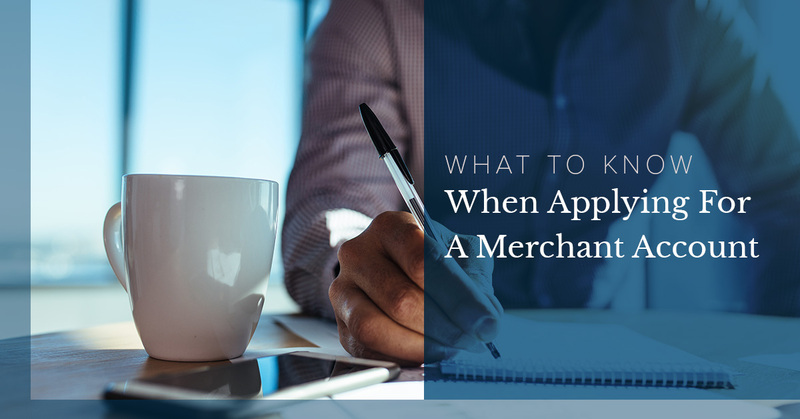 There are a few factors to consider when you’re applying for a merchant account. First, you need to have your merchant account approved before you can move forward with opening the account. When you’re applying for a merchant account, there are a few factors that you need to consider. These factors are listed below to give you a good idea of what banks are looking for when you’re applying for a merchant account. Keep in mind that if you’re denied a merchant account, you can always reach out to us to learn what you can do better and how to have an application that passes the process. The first factor that is considered when opening a merchant account is your credit. Do you have good or bad credit? Credit is a factor in most things that you do. Credit can stop you from buying a car, getting that dream house, or hold you back from having a chance to continue with your career goals. If you have bad credit, then you could be turned down as a high risk applicant. If you have good credit, then you’re able to bypass into a merchant account that you want. Credit for your business can be one of the deciding factors on whether you can continue forward with your dreams or if you’ll need to figure out a way for you to re-evaluate what you need to open your own merchant account for your business. Another factor that will be considered when you apply for a merchant account is the age of your company. Are you a new company or an old one? How long have you been around? Is your brand name well-known? New or old companies may have become a brand name that has a much higher risk attached to it than other companies. In addition, if you’re a new company, then you might be seen as a much higher risk because you’re just starting off as opposed to a company that is established and wants to find a different provider for their needs. Lastly, a factor for being declined from a merchant account is the expected transaction volume. The expected transaction volume is when you predict the amount of revenue coming into your merchant account. When you decide to apply for a merchant account, you’ll need to predict the level of processing volume. This can be a deciding factor because the more amount of volume in profit you do, the more there will be chargebacks, which poses a great risk for the merchant service provider. When you decide to apply for your merchant account, make sure to only state the processing volume on your expected volume and always be conservative, so you have a better chance of getting the merchant account you want. For more information on merchant accounts, take the time to read our blog. We look forward to helping you reach your career goals!